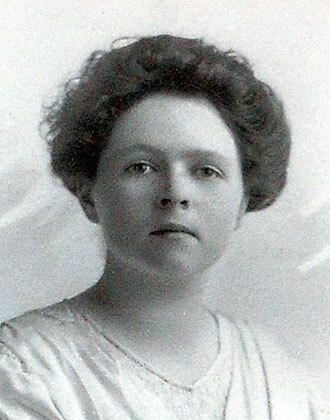 Named after her mother, Grace Worthington attended Wellesley College near Boston, Massachusetts, from 1915-17. Grace also earned her MA in Education from University of California at Berkeley. She married Lawrence Swabey of Kirkland, WA. The first Quilcene forest ranger for the U.S. Forest Service was Mr. G.A. Whitehead, who became a life-long friend of the Worthington family, often hiking with them throughout the Olympic Range. He initiated the official naming of Wellesley Peak, an Olympic Range mountain standing 6758′ tall, to honor Grace’s courage and accomplishment in attending college in New England so far from home.